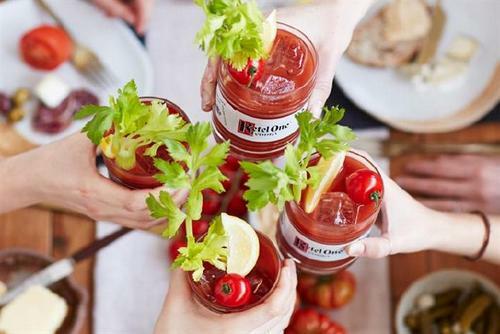 Dutch vodka brand Ketel One is setting up a bespoke nature-themed brunch experience in partnership with Harvey Nichols. The Ketel One Terrace, styled as a kitchen and potting shed, offers visitors the chance to garnish Bloody Marys with fresh herbs including rosemary, thyme, chives, mint and sage from the shed. They can also pair their drinks with brunch dishes including melted cheese brioche toasties, shakshuka and smashed avocado on sourdough. As well as brunch and cocktails, a series of cocktail masterclasses will take place on the terrace, where guests can find out what makes a good Bloody Mary and create their own, choosing a Ketel One Original, Citroen or Oranje base to then add their own spices and garnishes. The masterclasses will take place at the terrace on Saturday 6 October and Saturday 13 October.